The photos spread through this post are comparison shots from when I bought the car on November 4, 2008 and present day photos from November 4, 2017. I typically do a post recreating these photos each year and felt they sort of fit in with the overall vibe of this post, so I decided to include them. This car can stress me out to no end if I let it. When you care about the little details of something like a car, one nagging issue easily snowballs into 100 if you decide to try to tackle it and do it properly. When you zero in on something that needs to be addressed, you quickly realize that no perfect solution comes without a host of new problems to solve. Feeling this way about a project car can completely ruin the enjoyment of a build and prevent you from driving your car at all. I know this because it happened to me. 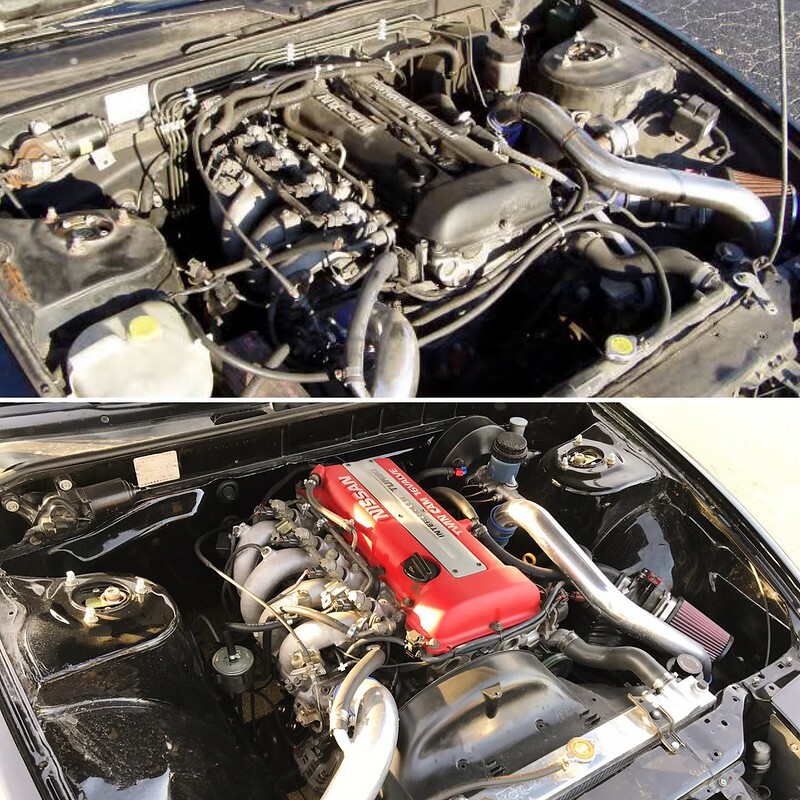 I was so embarrassed and frustrated with the state of my engine compartment back in October of 2011 that I tore the car down and completely shaved the engine bay. While the end result was definitely nice, I found myself back in the same place the following year- plagued by small issues with the car, many of them I had created myself. It didn’t seem possible or practical to achieve perfection, so I instead decided to give up completely and part out the car. As you’ll quickly learn from doing something like that, it’s better to have a car that’s imperfect than to not have it at all. As a little under two years passed, I realized what I had. Sure, the paint wasn’t perfect and the car had a host of issues, but it was the car that defined me in this hobby. 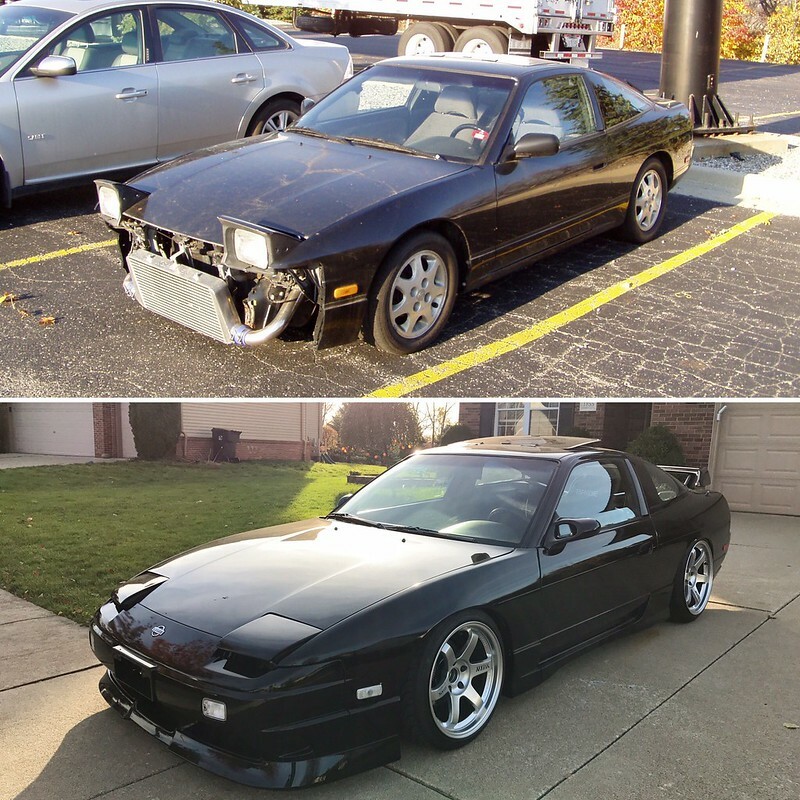 I started to realize that my S13 was the car I really wanted, whether I had the means to make it perfect or not. I decided to write about this a bit today because I find myself slipping back into the same trap I fell into when I parted out my car in 2012. I’ve more or less left my car unchanged from May 2016 to now (aside from subtle wheel and seat changes) to help reinforce the fact that I simply do not NEED to change anything anymore. As much as I absolutely crave the build process, I have done it enough times now to know what I like; to know when to call it quits and enjoy the simplicity. I can still enjoy tinkering with the car and maintaining it, but the large modifications and constant changes of past iterations have come to a close- largely due to the lack of resources like time and money that come with my current stage of life, but also because I need to train myself to be content. The discovery of water in my headliner while washing the car back in September has thrown me for a bit of a mental loop. This caused me to really focus on the state of the chassis itself and finally begin to look at the worn out seals and rust that has been present on the chassis for years, despite my best efforts to ignore it. For someone like me, when you stop and look at something in detail, it creates a sense of panic and urgency in the flaws you notice. I’ve poured everything into this car for the better part of a decade, so finding things like rust immediately makes me stress about it. As everyone knows, rust is not something that is going to stop until it has been completely removed and corrected. These discoveries quickly snowballed into the thinking that I must replace every OEM seal, molding, and piece of weather stripping on the car. 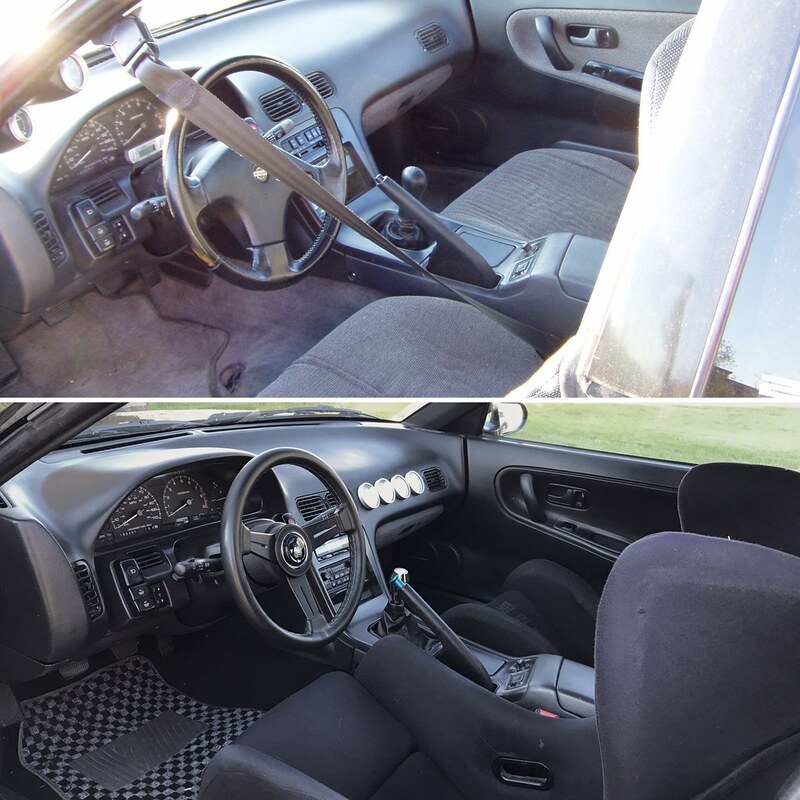 Tear it down to a bare shell, strip everything, and have the car completely repainted. And while this probably is the right answer, I’ve forced myself to stop and think about the repercussions of this. Far too many builds fall prey to this mentality. People are praised for perfection, and everyone wants to receive that praise to some extent. It’s too easy for people to fall victim to this mindset. So many S-chassis cars are stripped down to nothing with this goal in mind, only to never be driven again. It takes a tremendous amount of time, money, and effort to build a car from the ground up with a goal of perfection- and let’s face it, most of us simply do not have the means to do it. So sure, I could sell most of the aftermarket parts on my car to fund new seals and a paint job. I would essentially have a simplified and largely bare-bones version of my car with flawless paint. But where would that leave me? I would likely be afraid to drive the car because of the time and money invested to make it perfect. It would need to stay in the garage to be preserved- but for what? It’s unlikely that this car will mean anything to my three daughters when they are older, other than the fact that it was important to their father. Will gasoline cars even be legal by the time I have grandchildren? I would be proud of the finished product, but do I really want to spend my years staring at the car and not enjoying it to achieve this? I’m rambling at this point now, but here’s the point: enjoy your car. Don’t get lost in trying to achieve perfection or having everything. 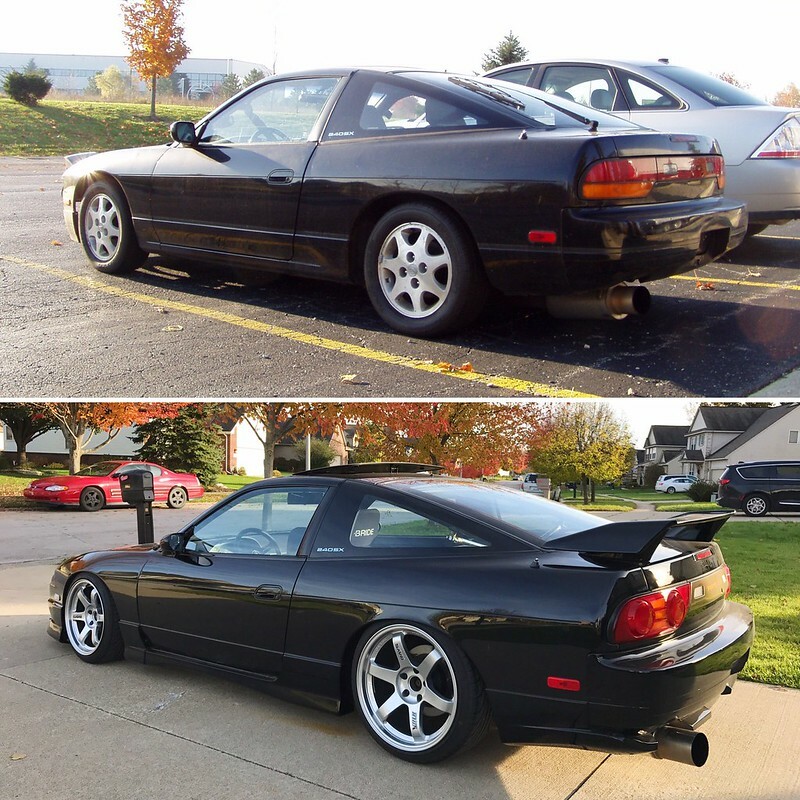 Sure, that full paint job or crazy engine swap setup would probably be neat to have, but do you want to give up years of enjoyment to obtain it (possibly only to fail and never drive the car again?) It’s cheesy to say, but we don’t really know how much time we have on this planet. To put forth so much time and mental energy into something like a car is certainly silly, but I know more than anyone how much fun it can be. I guess I’m writing this to remind myself that chasing perfection is a fruitless venture. Put your best foot forward with the resources you have available, but also take time to enjoy what you have. Sometimes simplicity is the best formula. Yes, my car has less than perfect paint. It has rust in a few places that will likely spread if not tended to. I’m not going to ignore these issues, but I will pace myself with addressing them as life allows me to. As long as I am grateful and enjoy what I have while doing these things, I think I’ll be able to look back on this journey someday without feeling regret. The car doesn’t need to be a perfectly restored museum piece to be enjoyed- and arguably, I’ll probably enjoy it more if it isn’t perfect. It’s good to be passionate and want to put your best effort into building a car. Just remember to enjoy it while you can along the way and accept the bad with the good. Perfection isn’t obtainable- so don’t let the pursuit of it consume you. Always enjoy new posts Damon. Keep em coming. Thanks for the support Albert! Glad someone enjoys my rambling, lol. Punch right to the guts, i’m forever falling into this trap (and we don’t get the sort of winters you guys do up there). Driven for 2 weeks, have an issue, comes off the road and snowballs into 4 months later. It’s great when it works out but you’re right it turns into a neverending circus. My 1 regret over the 8yrs I’ve had mine is not enjoying driving it enough and getting bogged down pulling things down. I’m glad there’s others who can relate to this haha. It’s a cycle I have been fighting hard to break, but I have always been the same way- and I have missed out on a lot of enjoyment from driving my car because of it. I can definitely relate! The time I actually have available to drive my car at my current stage of life is so slim that I absolutely want to make the most of it. Thank you for reading and commenting! Good luck with the car. I needed to hear this, my dad is notorious for not finishing a build and owning a garage queen. I’m not trying to carry on that tradition at all, but have found myself looking for reasons to keep tearing my car down into pieces. Now I’m going to back off and focus on getting it on the road before the summer. I totally know what you mean. It is such a tough habit to break! Living with imperfections when your car is your passion is so difficult to do. Especially with social media and what our peers are doing. It’s a constant competition whether we intend for it to be or not. I have really enjoyed your build so far- I have total confidence that it is going to turn out amazing!